In order to properly handle your business’ financial needs, you need to make the right decision when selecting a bank. Unlike the bank you use for your personal needs, you need your business’ bank to offer you a lot of facilities and you should end up choosing the one which offers the most. Begin your research by looking into the different kinds of services offered by the banks that operate in your area; the fee for these services should also be looked into thoroughly. What Do You Want From Your Bank? Having clear knowledge about the services your business requires from a bank can help a lot in finalizing your choice. Interact with the banks on your list in order to shortlist the few that offer the services that you require. For example, if you identify good customer service as an important prerequisite in selecting your bank, then you might want to call them and check out the time it takes to reach a representative who has the information to satisfy your queries. You can check their email response time. Ideally, it should be within 24 hours. This will help you know beforehand whether your bank would be cooperative in times when you need assistance and customer support. Banks with large nationwide networks might offer you competitive interest along with a wide range of services for your business. Smaller banks are more interested in the growth of local businesses, thus making it easy to get a loan from them. A bank that would mail you your statements can help a lot with your bookkeeping. In the world of banking, you will be charged for almost everything in one way or another. Call the banks on your list and consult the representative in order to take a clear look at how much the bank charges for different kinds of services from ATM withdrawal fee, checkbooks, and account statements. Ask about the other charges that your business might need such as credit cards and wire transfers. You can consult other business owners when choosing your bank. Owners of businesses with similar financial needs might be able to help you out by telling you their experience with their banks. Their satisfaction with their bank might be able to help you make your decision and will also enhance the trust you have in your banking services. It is better if the bank you choose qualifies as an SBA (Small Business Administration) lender. When applying for an SBA loan, it is important to have a good relationship with your bank as it makes getting an approval for an SBA loan a whole lot easier. The Small Business Administration’s Preferred Lender Program can help you identify the banks that easily give out SBA loans. The SBA says that the preferred lenders have a “streamlined paperwork process” which can help your small business get its loan approval with ease. 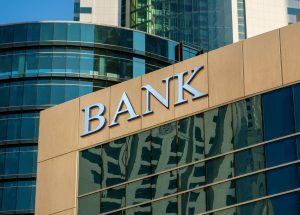 Once you have finalized your decision regarding which institution’s banking suits the financial needs of your business the most, it is essential for you to build a strong relationship with the staff of the bank which provides you services. This relationship will prove to be very resourceful, as it can lead to identification of ways that the bank can assist your business. It might also help you get the credit you need during times of loss or crisis. Consulting the banker about future prospects can help you learn a lot about the services you’ll need for your business in the future. This, in turn, can help you plan in advance.